After school and summer and fitness camps were implemented as a non-profit 501c3 by Carol Victoria Wright, founder and leader of the after school program for students and President of the Graham Kapowsin Community Council. 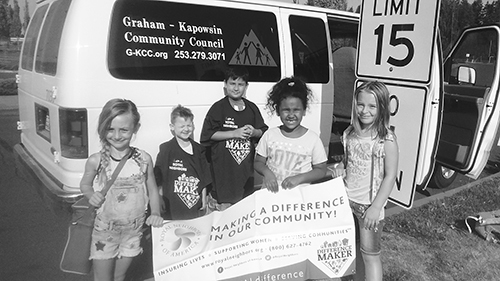 8 elementary schools have the Graham Kapowsin Community Council after school program for kids: North Star, Shining Mountain, Graham Elementary, Kapowsin Elementary, Centennial Elementary, Rocky Ridge Elementary, Nelson Elementary, and Frederickson Elementary. Kindergarten through 14 year olds are for the summer camps that last 8 weeks and are 3 days a week on a Tuesday, Wednesday, and Thursday for 5 hours a day and start after the 4th of July. The STEM (Science, Technology, Engineering, and Math) are implemented into the after school programs year round and in the summer camps. 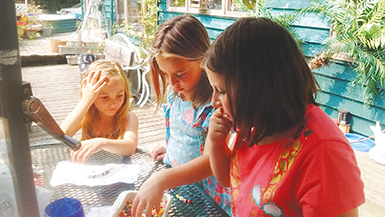 Fall, winter, and spring kindergarten through 5th graders have the after school program October through May and STEM does not take place in September and June, but July and August as mentioned above. The after school program fall, winter, and spring take place for two hours from 3 pm to 5 pm. The elementary schools follow the same program and schedule. The children have a children’s garden and on some days after school, the students are taken there or to the salmon project where they can work on streams and do water quality testing. “Sometimes we’ll meet in a portable area to do chemistry projects.” The farm the kids go to is on 70th and is called Bud and Shrubs Farm and the farmer is Pethick Victoria Wright mentioned how he volunteered by giving a 30 by 30 feet spot for the kids and helped them with an elk fence. Victoria Wright had also shared how during the after school program students are given a healthy snack after they wash their hands before they do one of the many projects mentioned above. She mentioned how there was an “Ecosystem Explorer” which is for children in the youth program for the STEM. The Ecosystem Explorer is about learning about our environment, biology, geology, and each week depending on the camp the students learn about a different habitat, for example in October they spend time learning about trees and in November they learn about mountains, volcanoes, and glaciers. In the summer, the camps are from 9 am to 2 pm and 5 hours a day and some of the things the students have done have included: seeing where the water comes from Mt. Rainier and hike in the mountains, visit the salt water on Ruston Way in old Town Tacoma, Nisqually Delta is where the salt water merges with the fresh water, Victoria Wright received free tickets to the Pierce County Fair and took the students there this past summer, “That was fun” Victoria Wright said. The Tacoma Farmer’s Market the students have gone to and their focus is on food and honey. They are able to ride the trolley downtown Tacoma as well as visited the fish hatchery in downtown Puyallup. Students have also gone to the beach to look at critters and talk about the different kinds of shells, swim, and learn about the habitat. “It’s a pretty fabulous summer for the kids. 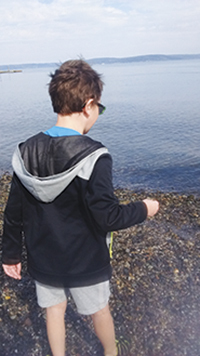 Ruston Way’s Beach is good and has sand where the tide comes and goes and they [the kids] just love it,” Victoria Wright commented. Victoria Wright explained how her program for the kids is a non-profit 501c3 and gives $5 per hour deep cuts and discounts, including discounts for military to get the kids involved so that money doesn’t have to be the barrier. When parents pay the tuition, 100% of it goes to the non-profit. When Victoria Wright writes grants, she makes scholarships when she’s granted by the grants. Victoria Wright plans to hire another person to assist her with this program. “It’d be nice to have somebody who has that kind of passion and take over the program as I’d love to see it become sustainable with new young blood,” Victoria Wright expressed. She’s looking for potential part time future teachers. For more information about this program, please call Carol Victoria Wright at: 253-279-3071 or visit: g-kcc.org. “We don’t let them [the kids] be a couch potato after school. Parents love it because kids are kept active,” Victoria Wright concluded.